In 1869, Hooks matriculated at Berea College, one of the first women of any race to attend college. 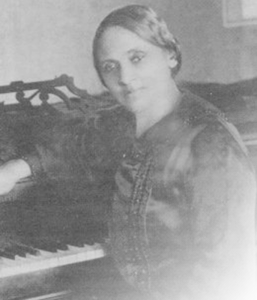 From 1870-1872, while still a student, she taught white student’s instrumental music, a first for an African American. She would then move to Greenville, Mississippi, in 1872, where she taught in the public schools. Blanche K. Bruce, an African-American, was elected to the United States Senate with her help. Teaching was Hooks’ passion. She moved to Memphis in 1876 to teach in the public schools, where she was named principal of the Virginia Avenue School. She founded the Hooks Cottage School because she was dissatisfied with the quality of public education. In 1891, the music master ventured into social services, thereby founding and becoming a charter member of the Orphans and Old Folks Home Club on Hernando Street where she’d purchased 25 acres. Three years later, she’d raised enough money to pay off the debt by giving concerts. In 1902, Hooks was selected to head the newly established Juvenile Court detention home for African- Americans. Her husband, Charles F. Hooks, was killed by one of the detainees, but she never wavered from her commitment. She founded the Hooks School of Music in the auditorium that Robert R. Church Sr. built. William C. Handy, who would become the “Father of the Blues,” was one of three prized pupils. Concert artist Sidney Woodard and mezzo-soprano Nell Hunter were the others. Often called “The Angel of Beale Street,” Hooks was the grandmother of the late Benjamin L. Hooks, who once served as the executive director of the national NAACP.